Christmas is a season of giving and since you all are such wonderful followers and such an encouragment to me, I'm doing some giving. 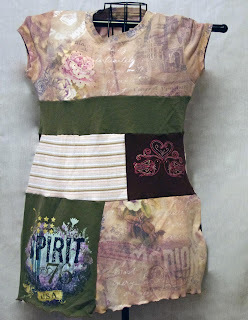 A week from today, Jan. 3rd, midnight ET, I'll draw the winner of one of the upcycled tunics. You can see more of the winners options here and here. 1. 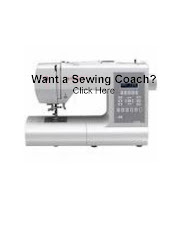 Add a comment to this entry stating which top you'd like to win. 2. Facebook about the giveaway and comment seperately here. 3. Twitter about the giveaway and comment seperately here. 4. Blog about the giveaway and comment seperately here. 5. Share the giveaway any other way and comment seperately here. Each different way you share the giveaway can comment about here can earn you another entry. All entries must be commented about seperately to be recognized by the random draw. On Jan. 4th I'll announce the winner here. So be sure to check back. love the the first top! I love the Green floral Angle Tunic! The Green Floral Angle Tunic is fantastic!! I would love to win the SPIRIT Tunic above, it's gorgeous! Green floral Angle Tunic- Ladies Medium is my favorite choice! Love them all really. Very cool designs. I like the spirit tunic. I really like the ladies green angle tunic. Very creative! I like the green floral tunic, so cute!! I love the Spirit tunic - so cute!